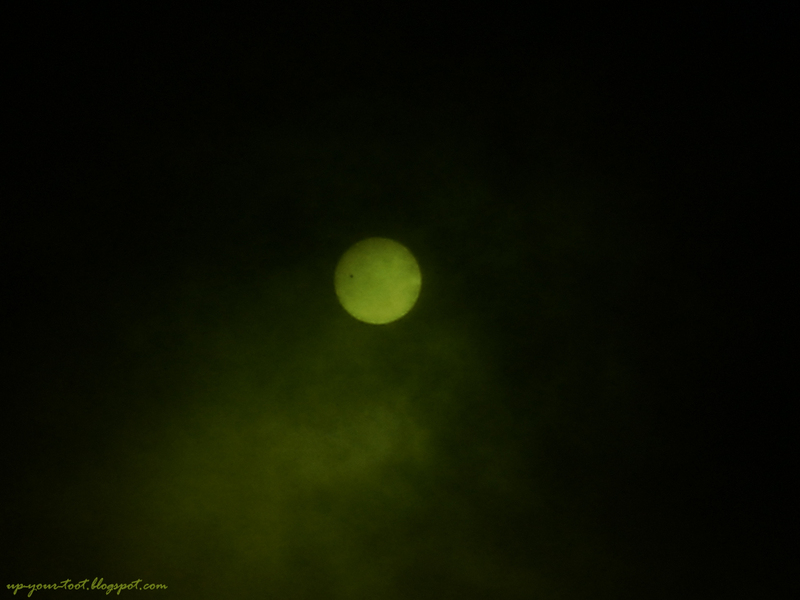 Here are some pictures of the last transit of Venus for this century. 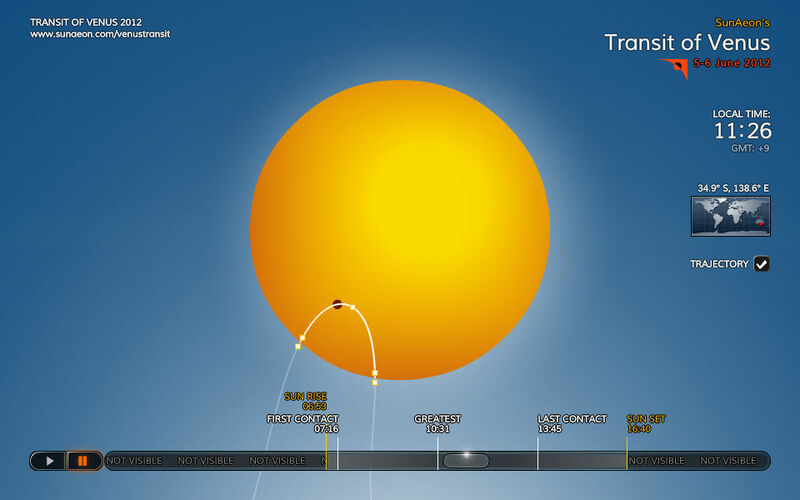 The next transit will be in 2117, which I guess we all won't be around to catch it. 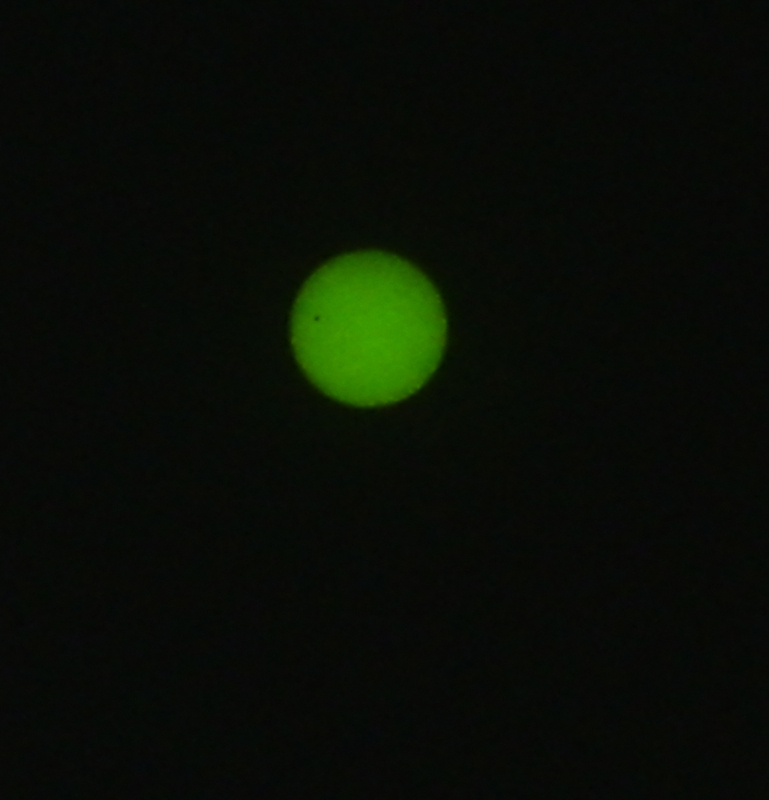 Venus appears as a shadow (the beauty spot - a.k.a. the Cindy Crawford/Marilyn Monroe mole) on the left (about 9 o'clock) of the Sun's disk. Taken with a Sony DSC point and shoot, two pieces of DIN10 welder's glass, a cardboard shield and Adobe Photoshopped to remove the green cast. Without colour correction, the welder's glass gives the image a strong green cast. The shadow of Venus is seen on the left hand side of the solar disk. This image was captured post maximum contact, at around 10am local time. 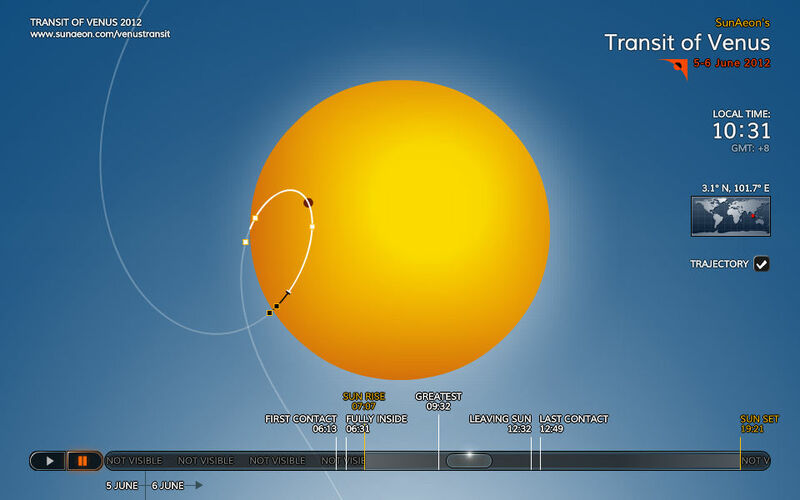 The path taken on the solar disk is a curved trajectory, because as the sun moves through the sky, the solar disk rotates with respect to the horizon. 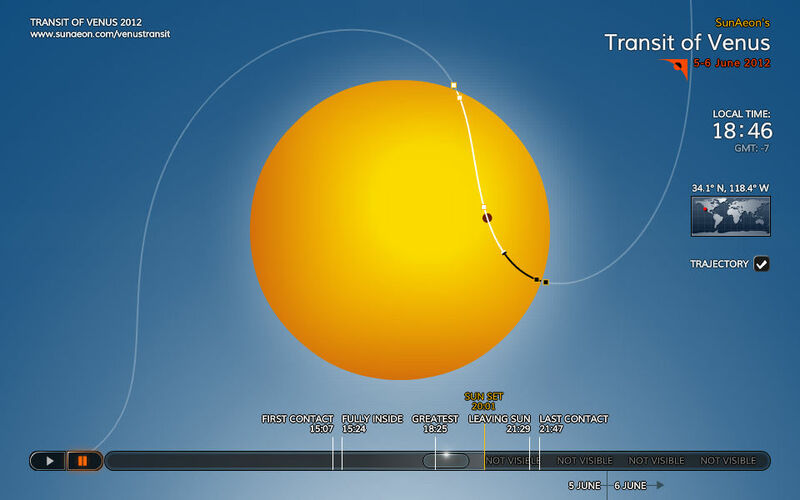 Hence the apparent trajectory taken by Venus across the solar disk is a curve and would be different depending on the location that you are viewing from. 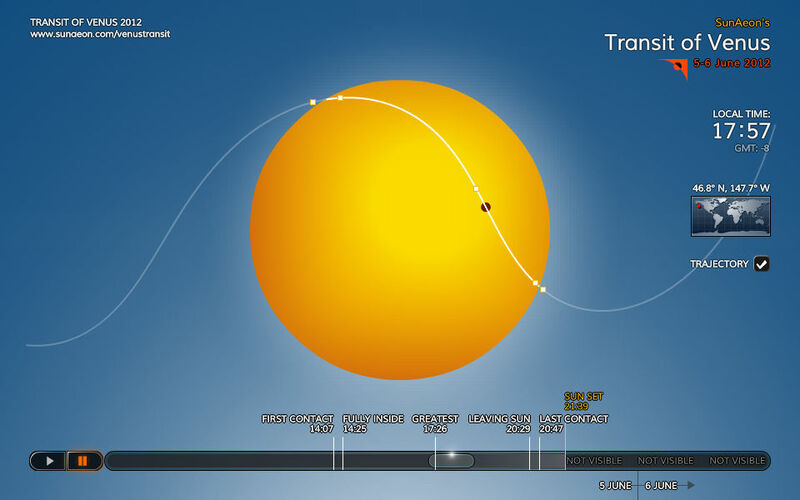 To look at what the trajectory looks like, you can go to http://transitofvenus.nl/wp/where-when/venus-curved-trajectory/ and use the flash applet provided by www.sunaeon.com to see the trajectory from your location. 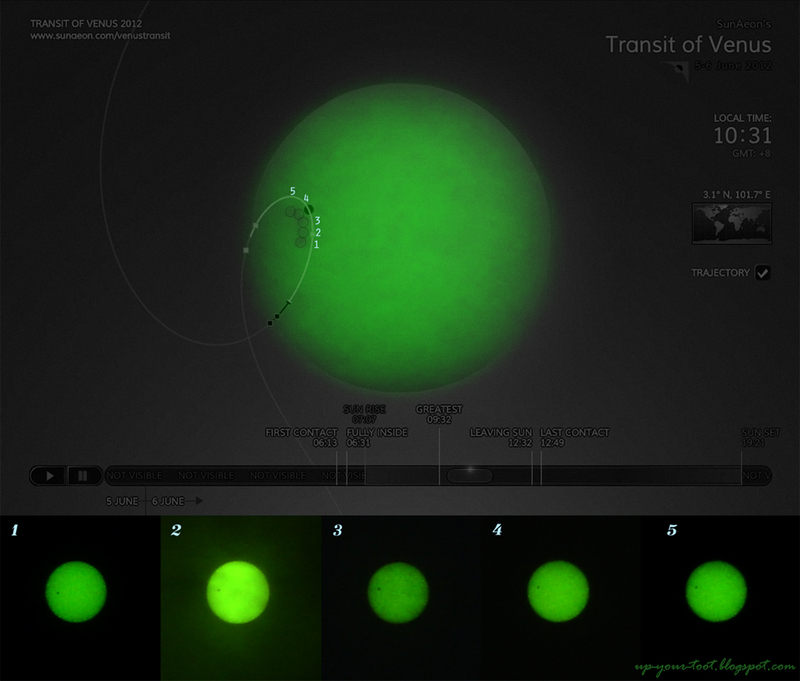 An overlay of combined images taken during the transit of Venus over that of the modeled track given by www.sunaeon.com that was accessed from http://transitofvenus.nl/wp/where-when/venus-curved-trajectory/ - the combined series of images shows the 'spot' is taking a curved trajectory over the solar disk as modeled for viewing from Kuala Lumpur. Below are a few pictures extracted from the site mentioned above to illustrate how the observed trajectory is different at different localities. The apparent transit trajectory for Kuala Lumpur, Malaysia - this imaged was superimposed with images of taken during the transit and made into the image above this. The apparent transit trajectory for Adelaide, South Australia. The apparent transit trajectory for Osaka, Japan. The apparent transit trajectory for Beijing, China - similar to the view from Osaka. The apparent trajectory for Fairbanks, Alaska. The apparent trajectory for Los Angeles. 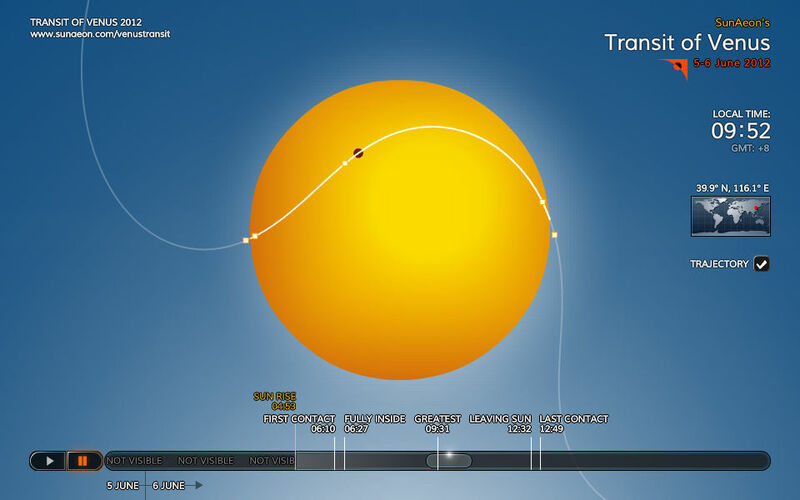 If you like to see how the trajectory of Venus appears in other places, try using the flash object below. 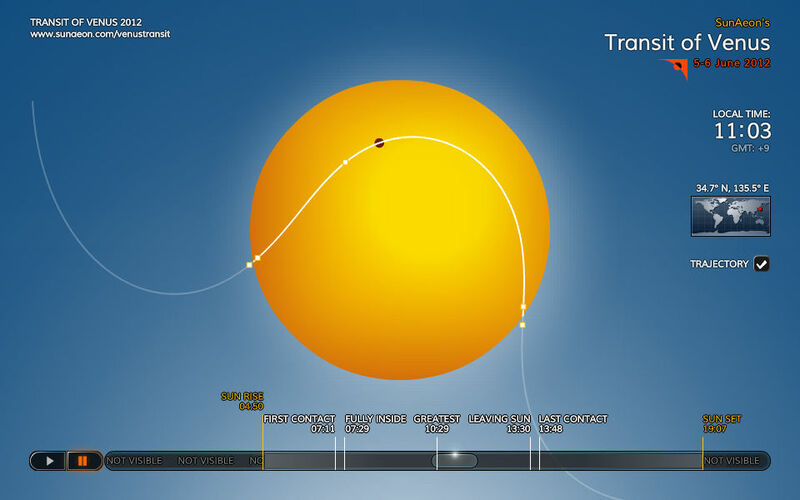 You can click on the Trajectory button to draw the calculated trajectory and change the location by clicking on the map. Wah terang nampak dari sana. Nasib baik awan mendung waktu pagi beransur cerah. Sebab cuaca mendung I tak jadi buat projection method sebab malas kalau dah angkut telescope tapi tak dpt tengok, so guna direct capture je. The community there didn't have a viewing session pada hari itu? It was fun setting up for this event. No worries, there are many good videos on the net of the event.